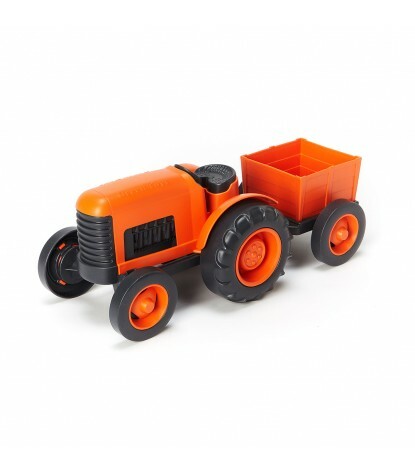 Organic farming is at its finest with the Green Toys Tractor! Your little ones can harvest the freshest produce their little imaginations can grow. With heavy-duty, chunky tires, and no metal axles or external coatings, this tractor can survive anywhere without rusting or chipping/peeling. Perfect for outdoor or indoor play! No matter where you go this tractor will be by your side. Plus the trailer is detachable! 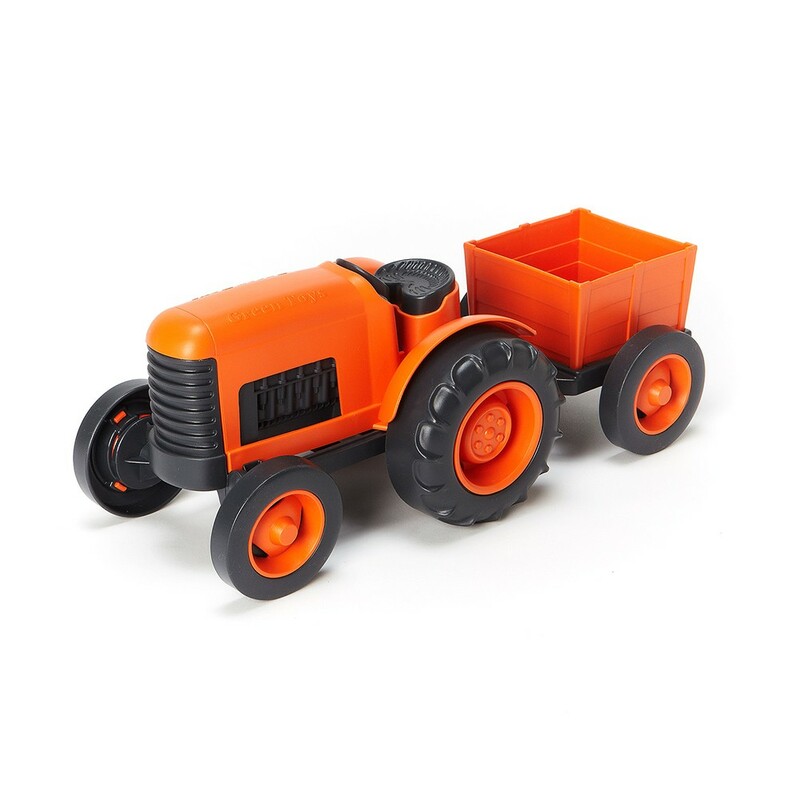 And even though it's bright orange, it's definitely the greenest tractor around!